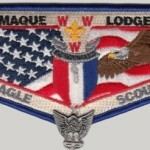 No longer available, I am not aware of any current source for Eagle Scout Checks. If you find on, let me know. 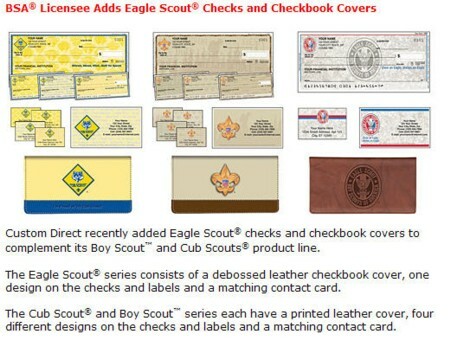 The Boy Scout Licensing Insider recently announced Cub Scout Eagle Scout and Boy Scout checks are now available. For more information on Custom Direct BSA® licensed products and where to purchase them, please visit www.identitychecks.com. These checks are NO longer available via Identity Check printer according to their customer service people I spoke with last evening (February 7, 2012). I told them they should clean up the internet since all searches and the BSA site say they are still the only place you can get them.